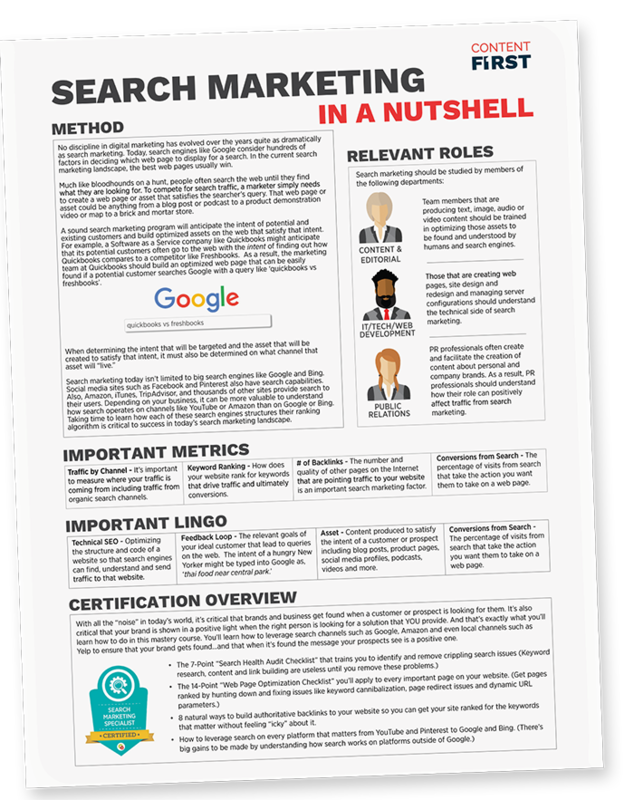 No discipline in digital marketing has evolved over the years quite as dramatically as search marketing. Today, search engines like Google consider hundreds of factors in deciding which web page to display for a search. In the current search marketing landscape, the best web pages usually win. Much like bloodhounds on a hunt, people often search the web until they find what they are looking for. To compete for search traffic, a marketer simply needs to create a web page or asset that satisfies the searcher’s query. That web page or asset could be anything from a blog post or or podcast to a product demonstration video or map to a brick and mortar store.